I have to say, I struggled a bit this month. Sleep deprivation and house moving and trying to sort out the parents (particularly cluttered) house led to a slight lack of baking focus, so that I lived up to the blog title this month and left it all up to the last minute. Having said all that, I did enjoy it. I made marmalade using limes from my parents’ tree and was quite happy with the results, even if I did forget to mince the fruit properly after blanching. The resulting marmalade was fresh, sharp and tangy – a win! The pate sablee was slightly less successful, although tasty. I didn’t have any suitable individual moulds so made a “family size” version in a springform tin. All fine except for the part where I tried to move the dough onto the baking tray, at which point it broke. I tried to reform it but it was irretrievably wounded and ended up breaking after baking, so that the assembly saw me trying to fit the biscuit pieces into the tin like a jigsaw puzzle. 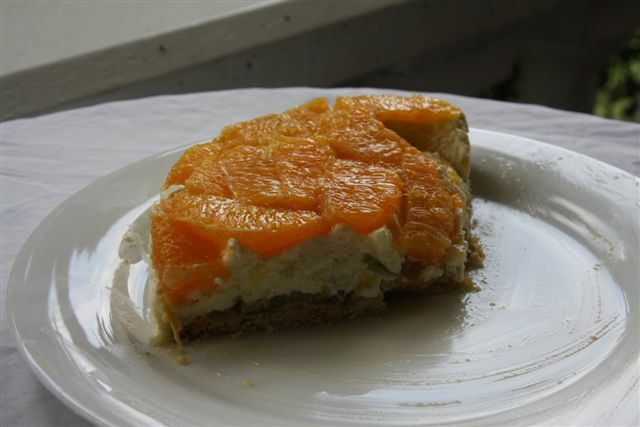 The only change I made to the recipe was to use wholemeal flour, as I prefer the taste and texture, and to add a dash of orange blossom water. I really liked the taste and texture of the pate sablee so would considering making this recipe again once I think my thighs are up to the butter challenge. There were some cream dramas too, but nothing that couldn’t be solved by throwing the first attempt out, going out to purchase more cream and starting all over again. And the final family (my loyal tasters!) verdict? Not bad! I was never the kind of girl who grew up picturing my wedding, complete with prince and bouffy white frock. 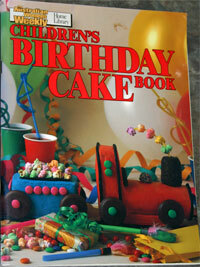 But I did think I would be a great mum, and that I would skillfully create imaginative birthday cakes for my children.The Australian Women’s Weekly Birthday Cake Book was to be my bible. So it came as a disappointing revelation on Miss B’s first birthday to discover that I was in fact the kind of mum who is still wearing her running clothes and swearing like a teenage boy, icing a disintegrating cake while guests arrive for the party. So I was determined that this year, on her second birthday, I would make up for it. Fortunately I had two chances as we were having both a family party and a kids party. 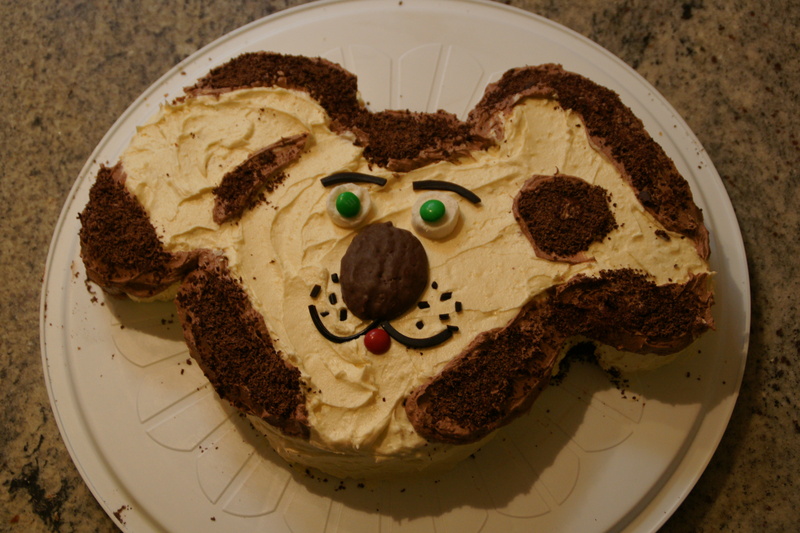 The plan was to have a spotty dog cake for the family party and a Dorothy the Dinosaur cake for the kids party. The spotty dog cake had a butter cake base, and was my first use of our new oven (old oven, new house). Apparently our oven cooks quite quickly, certainly faster than the recommended time. 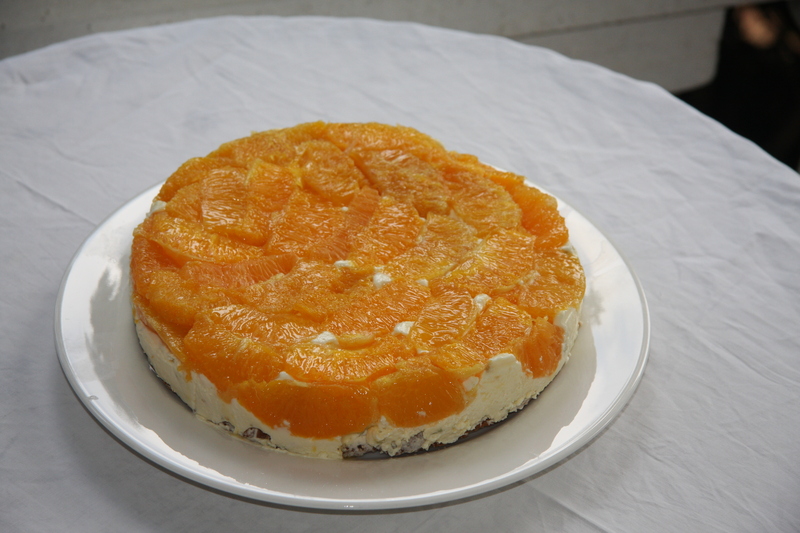 Result – overcooked cake. Whoops. Never mind, whack a bit of buttercream on it, grate some chocolate and Bob’s your uncle. Luckily the guests were going out for dinner afterwards and didn’t eat much of it! 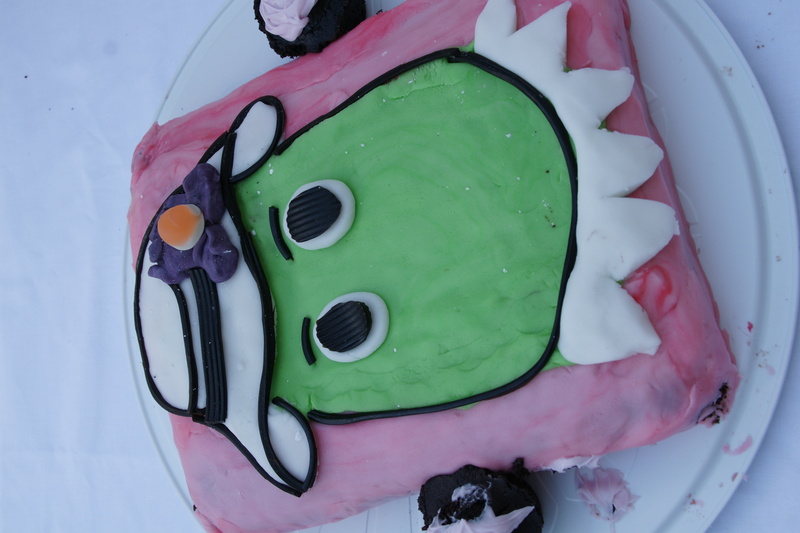 The second cake was Miss B’s favourite Wiggles character -“Doffy” in toddler talk. It was my first attempt at plastic icing and I think I need more practice. However, I downgraded my goal to it being recognisable. Apart from some damage caused by the cake container falling over, then being left on top of a barbeque plate that was accidentally lit, Dorothy was duly recognised by Miss B and apparently tasted quite good.So I think I will count that as a modest success. Next year I hope to do a bit better, while at the same time taking advantage of the fact that my target audience is fairly easily pleased. But I’m going to stick to my day job.